The Portable Sport Speaker delivers a good sound quality on the go incased in a rugged exterior. 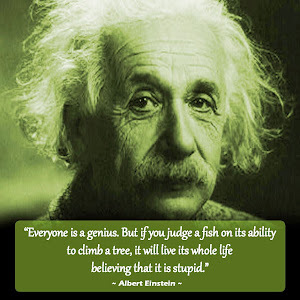 That way you can enjoy your music without having to fret as you explored the outside world. Oma found her Portable Sports Speaker to be transportable, convenient, yet stylish. It is perfect for use at the pool or at a family picnic. 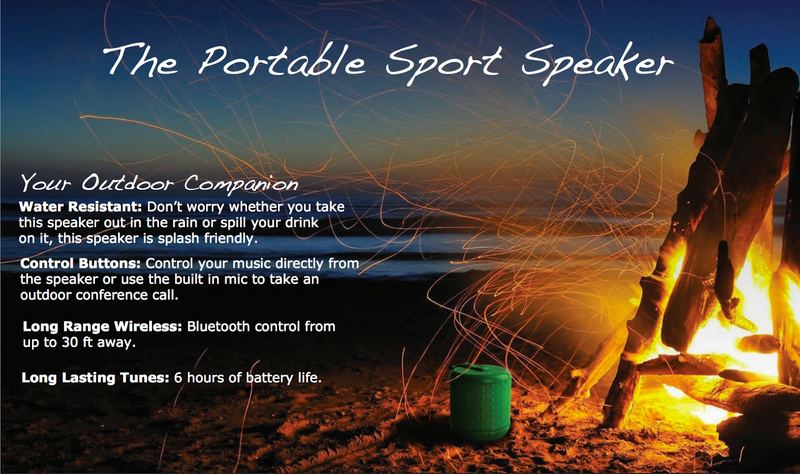 The Sport Speaker is your outdoor companion. 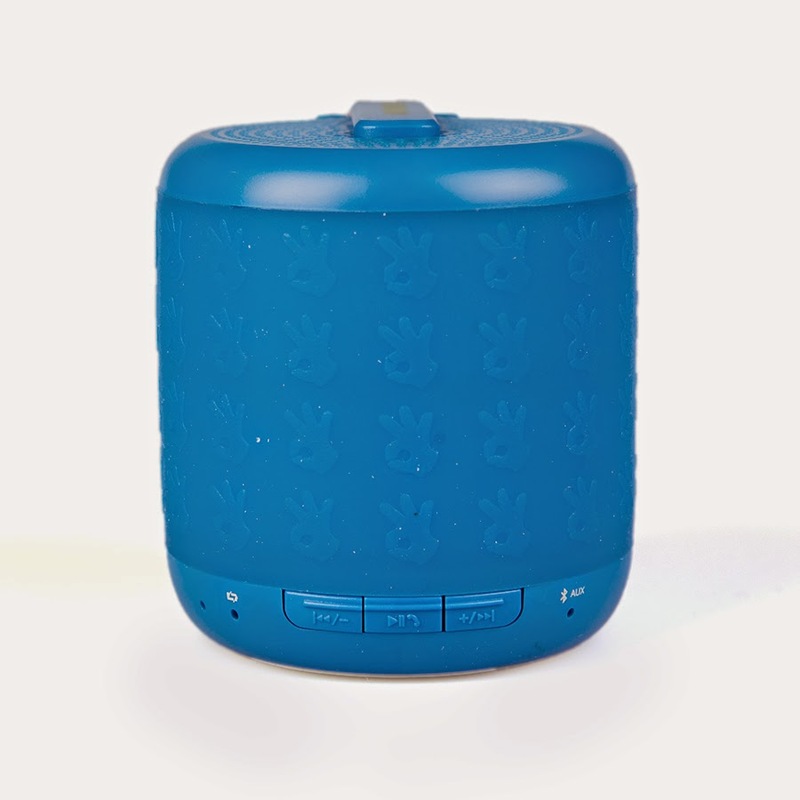 With a compact design this portable speaker boasts a clear and carrying sound! Take this durable and water-resistant speaker hiking, to the beach, or the backyard bbq! Water Resistant: Don't worry whether you take this speaker out in the rain or spill your drink on it, this speaker is splash friendly. Control Buttons: Control your music directly from the speaker or use the build in mic to take an outdoor conference call.